April 2004 - Joined Sunrise as a production assistant. May 2009 - Debuted as an episode director. May 2011 - Left Sunrise to work as a freelance director. His name is often credited in katakana as イシグロキョウヘイ. Snippets from an interview with the director of the popular music anime Shigatsu wa Kimi no Uso, or Your Lie in April. This part focuses on the difficulties of animating instruments. Snippets from an interview with the director of the popular music anime Shigatsu wa Kimi no Uso, or Your Lie in April. This part focuses on Ishiguro's opinions on live action vs anime, as well as his thoughts on other directors. not sure why peyman_eun says that but O;N really had really fantastic directing thanks to him, to be able to cram whole big story into 12 episode and still managed to be very engaging and well enough(compare to other 1-cour VN adaptation). imo YnN needs someone good director and he could been great choice. Occultic;Nine was a disaster anime because it does not give us any sense! Even worst CloverWorks studio is ruined Persona 5 :( If this studio product Yakusoku no Neverland, without a doubt it will fail. Why you want to hurt the emotions of the Yakusoku no Neverland fans? 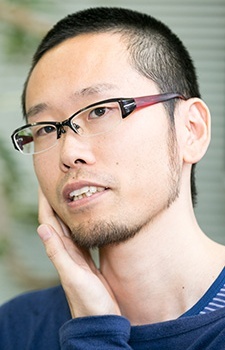 Tem uma teoria de que ele vai ser o futuro diretor do anime de Yakusoku no Neverland, se ele dirigir vai sair algo muito lindo. A theory that he is or future director of anime of Yakusoku in Neverland, goes straight will come out something very cute. O;N legitimately has some of the best directing I've ever seen. Dai Sato said it himself. This guy is going places. o;n looks very neat and while Shigatsu is pretty bad, it looks fine too.